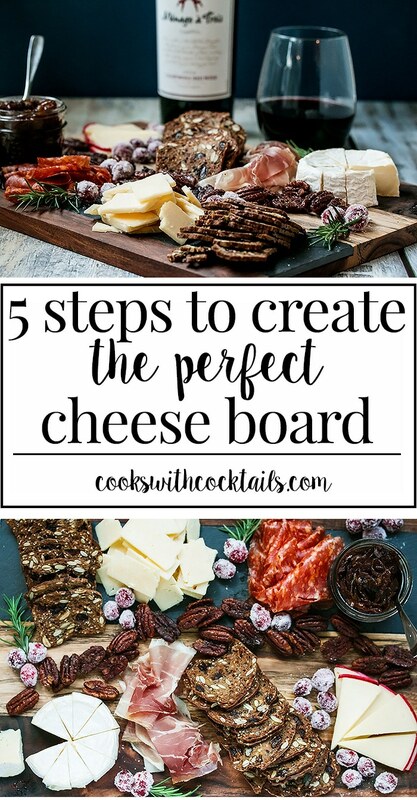 Creating the perfect cheese platter for entertaining is easy when you follow these five simple tips. This post is sponsored by Costello Cheese. All opinions are, as always, our own. 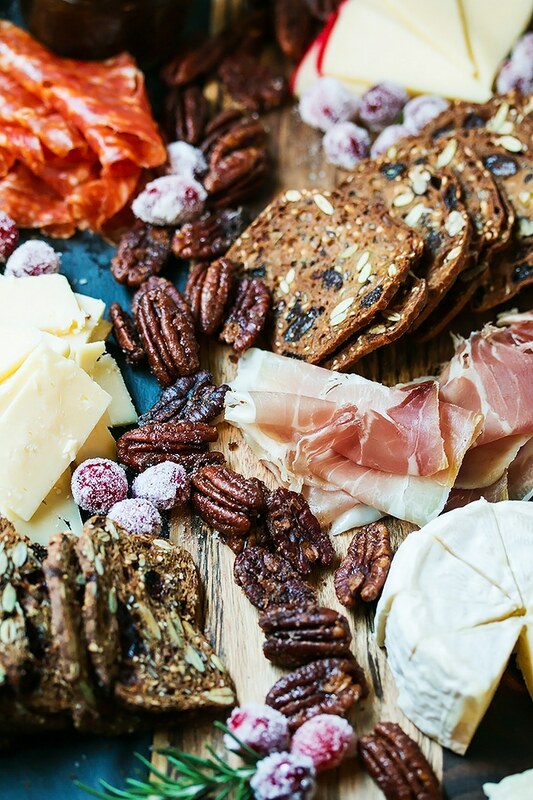 Everyone loves a good cheese platter. 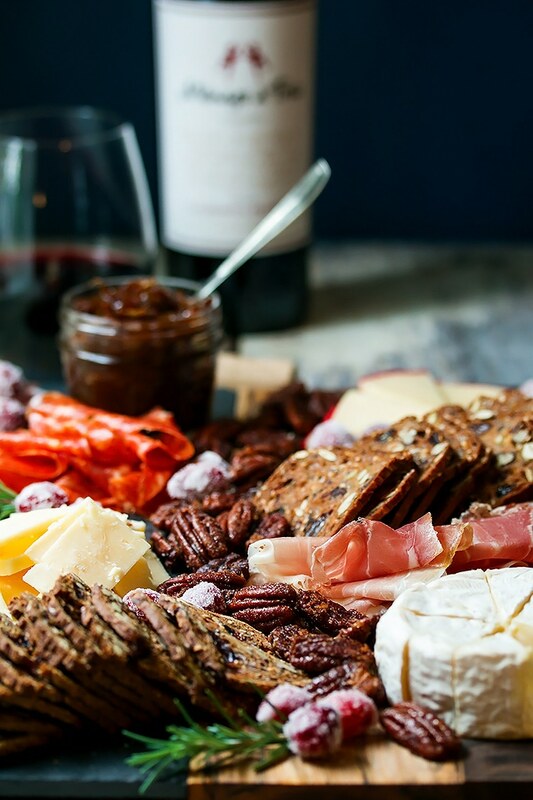 Delicious cheeses paired with sliced meats, crackers and other yummy accompaniments! Its the best kind of appetizer grazing there is. 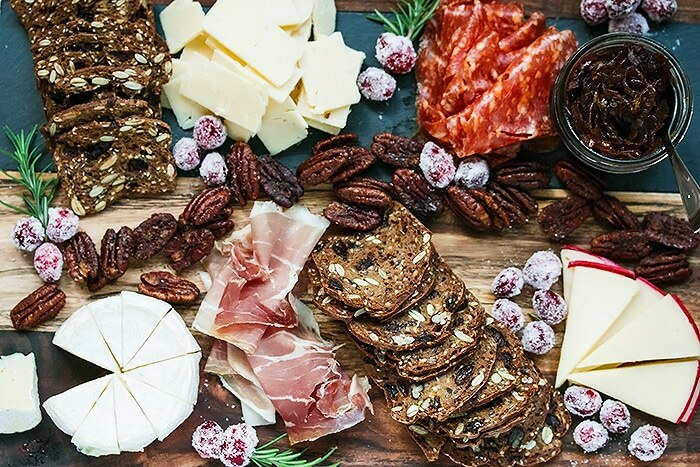 In our opinion anyways… Creating a beautiful cheese board can be kind of intimidating. There are SO many options! It can get overwhelming when deciding what goes with what. Fortunately we have a few simple tips to break it down for you and make it totally do able for any host. Use a few different kinds of cheese, but no more than 4 kinds. Choose different flavors and textures (hard, soft, or blue) and/or made with different milks (cows, goat…). I have heard of this rhyme for choosing cheese for a cheese board: “Something old, something new, something goat, and something blue.” It works! Choose 2 or 3 complimenting flavors for accompaniments. Sweet, savory, and different textures are good too. 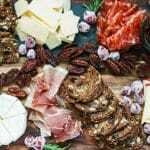 If you need help deciding what goes with what, you can stick to the what grows together, goes together rule – example: french cheese, french meat. It doesn’t always work, but its a great starting rule of thumb. Choose a mild flavored cracker if you want it to go with everything. But your crackers don’t have to go with every cheese. Choose something interesting if that’s what you like. 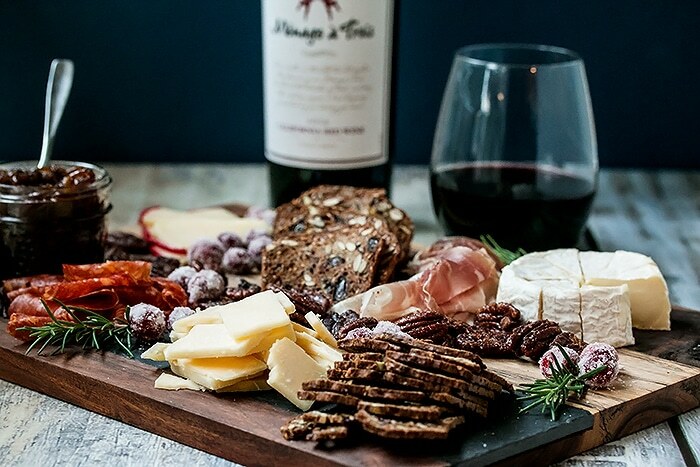 Wine – choosing a wine to go with your cheese can seem daunting but if you follow these simple tips from the Serious Eats cheese and wine pairing cheat sheet, its not so overwhelming. Go read the article on Serious Eats for more detailed information. Its great! Fresh and soft cheeses love crisp whites, dry rosés, sparkling wines, dry aperitif wines, and light-bodied reds with low tannins. Harder cheeses love full-bodied whites and tannic reds. Cut or slice your cheese before you serve it! This means way less mess and your guest won’t have to struggle to get the piece of cheese they want – wedges or strips – no cubes! It was pretty simple and we loved eating it! Our favorite cheese was the Tickler Cheddar. I love old cheddar that crumbles and has little tiny crystals in it that sort of have a bite to them. This cheddar is going on my list of favorites. The onion and fig jam is both savory and sweet, a perfect accompaniment to the Brie. The maple roasted pecans we made are sweet, spicy, salty. Totally addicting and also very pretty. The sugared ginger cranberries are not just for looks. They taste so good, especially when paired with the Fontina. I couldn’t stop popping them in my mouth! Trust me, if we can create a perfect cheese platter that’s both beautiful and delicious, you can too! 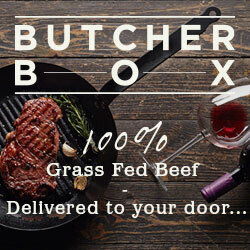 Check out this video for another great idea for a cheese board accompaniment. Sweet and Tart Cranberries that will liven up any holiday platter. In a small sauce pot, combine the sugar, water, and ginger. Bring it to a boil and let the mixture simmer for about 5 min. Remove from heat and let the syrup cool for a bit. Test the mixture to see if it has cooled enough by dropping a cranberry into the syrup mixture. If the cranberry pops open, its still too hot. When the syrup is cooled, add the cranberries to the syrup mixture and stir to coat. Let the cranberries sit in the syrup until they get soft. At least a few hours or overnight. When they are ready, remove the cranberries from the syrup and toss them in sugar. Set them on a wire rack to dry. Keep the syrup and use it to make a cranberry ginger cocktail!